. It links a field-data-sharing platform with a drone or various smart devices. Through the linkage with a drone or a IoT-based smart device, it makes a foundation where users can collect data and information of a remote place in real time, analyses and reports it, and establishes a rapid response system. 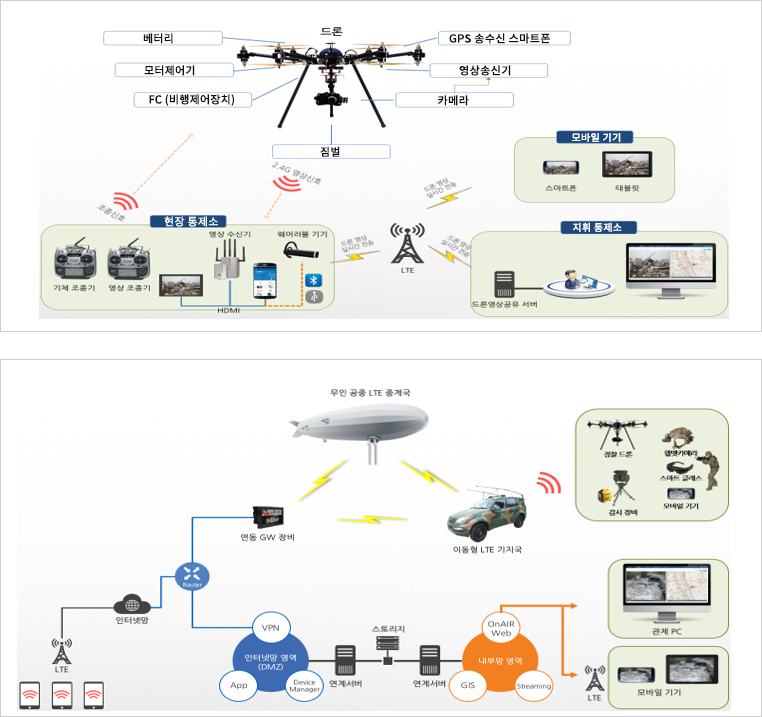 It can be utilized for battlefield data visualization of military operations, command system establishment of accidents, precaution/security system establishment for an extensive area, etc. Technology through linkage development between mobile and other various devices e.g. drone, wearable camera, HMD(Head Mounted Display), TOD thermal camera, sensors, etc. Development technology for validation, data integrity and forgery prevention with linkage with security solution e.g. VPN, MDM, etc.